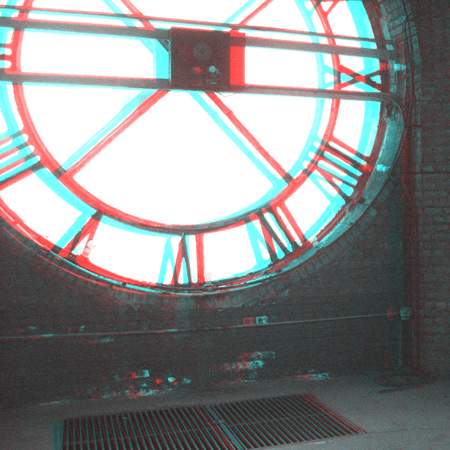 This 3D video installation, created from 16 stereoscopic images captured inside the clock chamber of the historic Bank of Manhattan Tower in Long Island City, Queens, was commissioned by the Center for Holographic Arts, as part of the summer 2014 PARALLAX series. 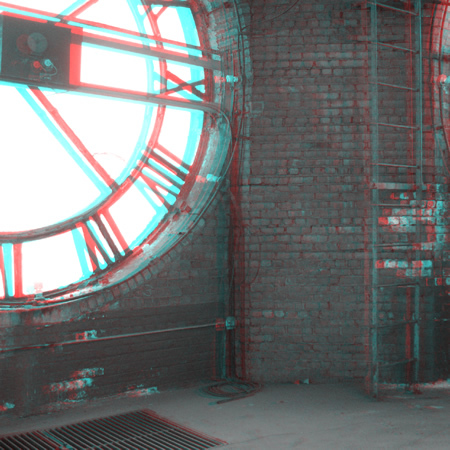 The image sequence moves rhythmically around the interior, exposing stained brickwork and the cracked glass of the four massive clock faces, accompanied by the sounds of tolling bells and elevated trains. As each new orbit begins, viewers may contemplate the relations between the fullness of space and the quantum pulse of time; and the tension between time’s linearity — the unswerving arrow of change and decay — and its circularity — the renewal promised by each sweep of hands round the dial. AROUND THE CLOCK offers a singular experience of grounding in four dimensions, and a rare vantage point: from the hidden center of constructed space, on the inner side of divided time. 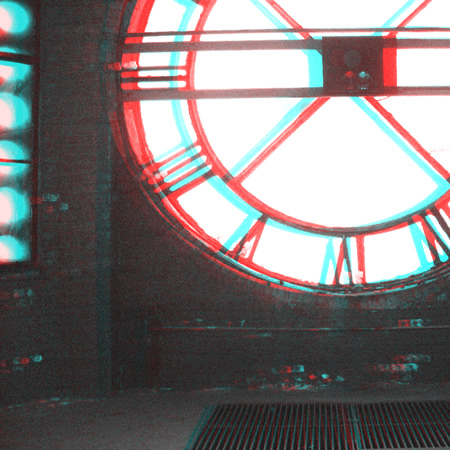 AROUND THE CLOCK was originally presented in July 2014 at the Holocenter House on Governors Island, NYC. 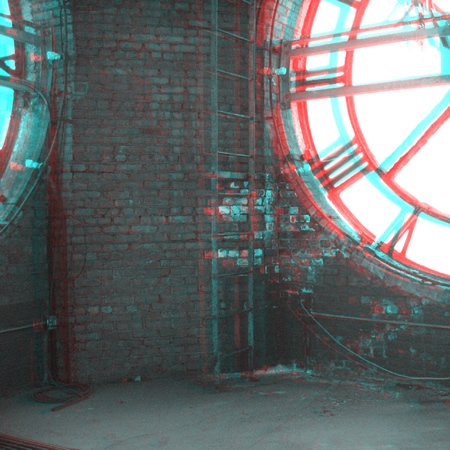 A remastered version was presented at the PARALLAX:PERSPECTIVES exhibition at the Flux Factory, in December 2014.